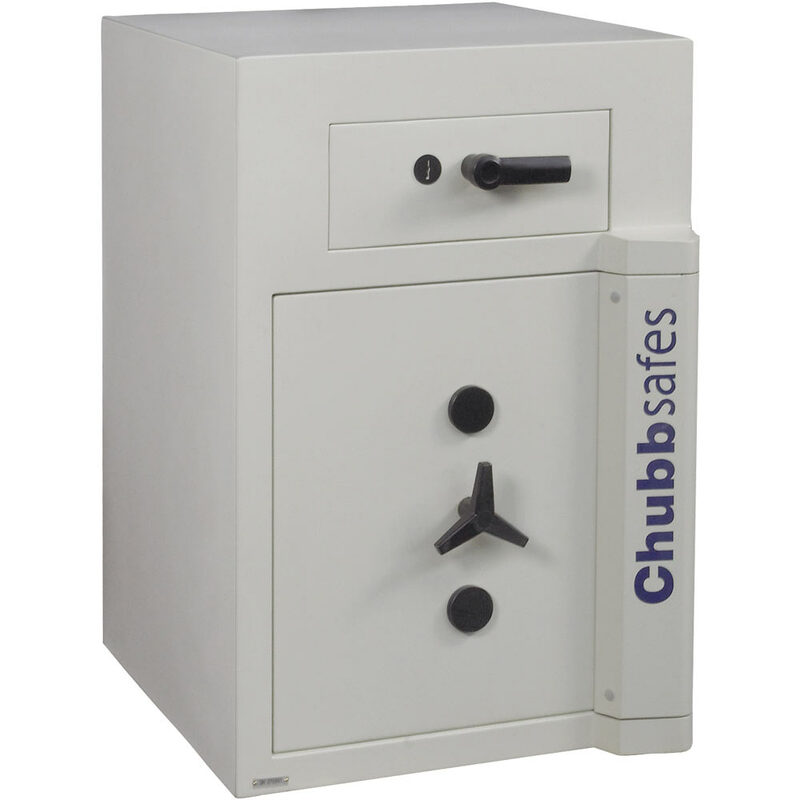 A high quality deposit safe constructed from modern high specification materials with a recommended cash rating of £35,000 or £350,000 for valuables. 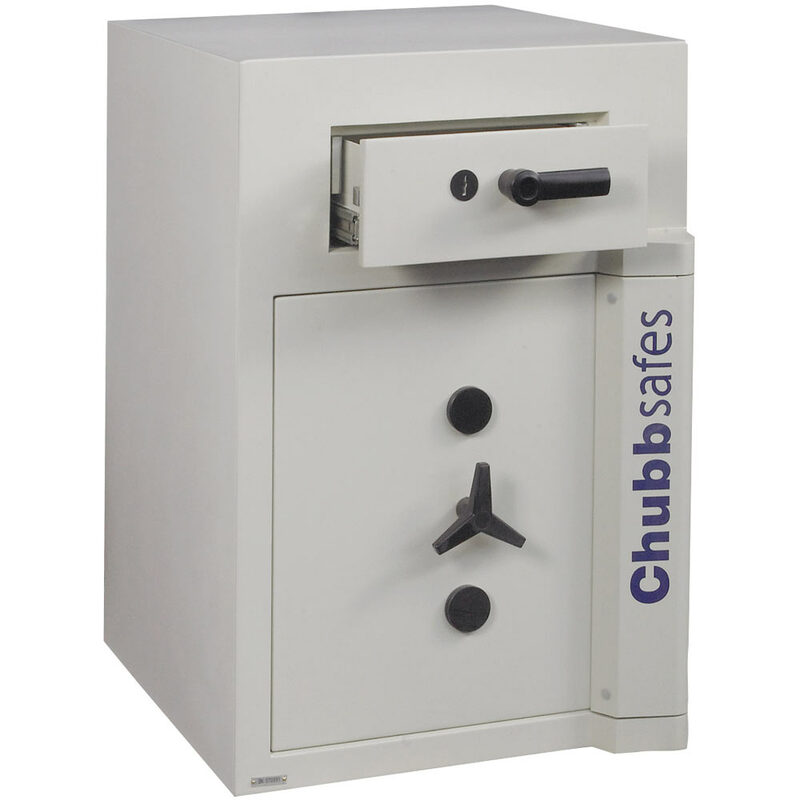 The deposit feature allows multiple users to constantly deposit cash and valuables securely whilst the main body of the safe remains locked. 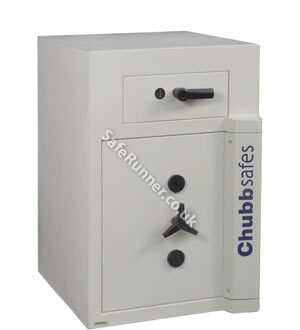 The deposit drawer is secured by a double bitted key lock. 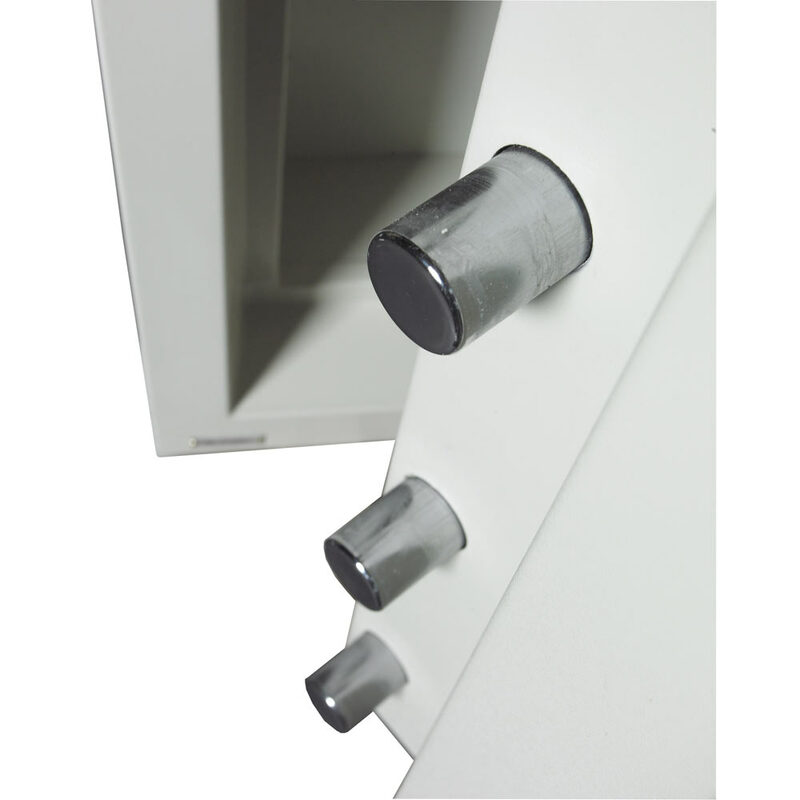 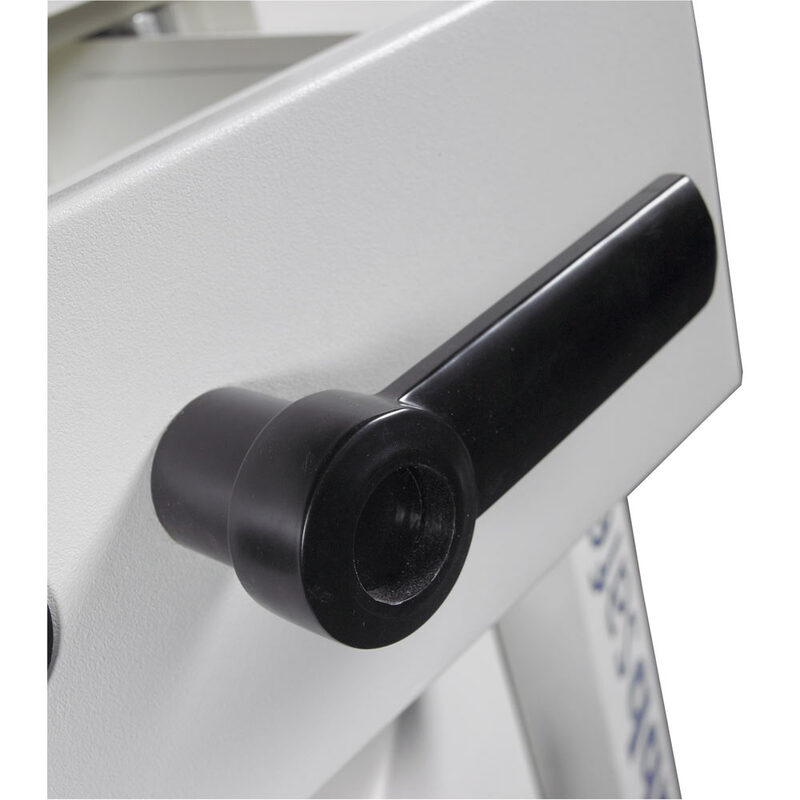 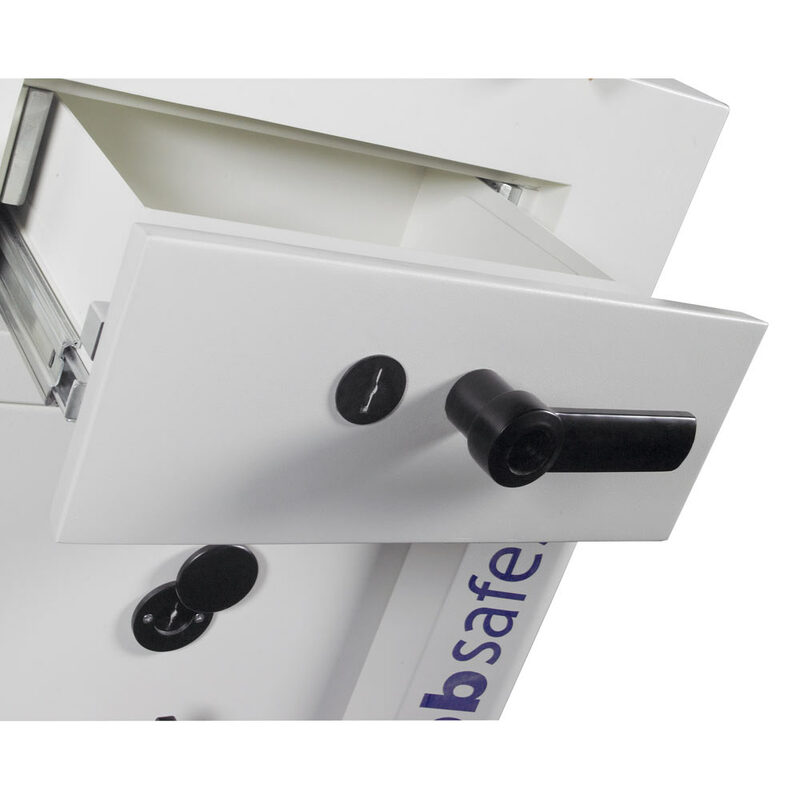 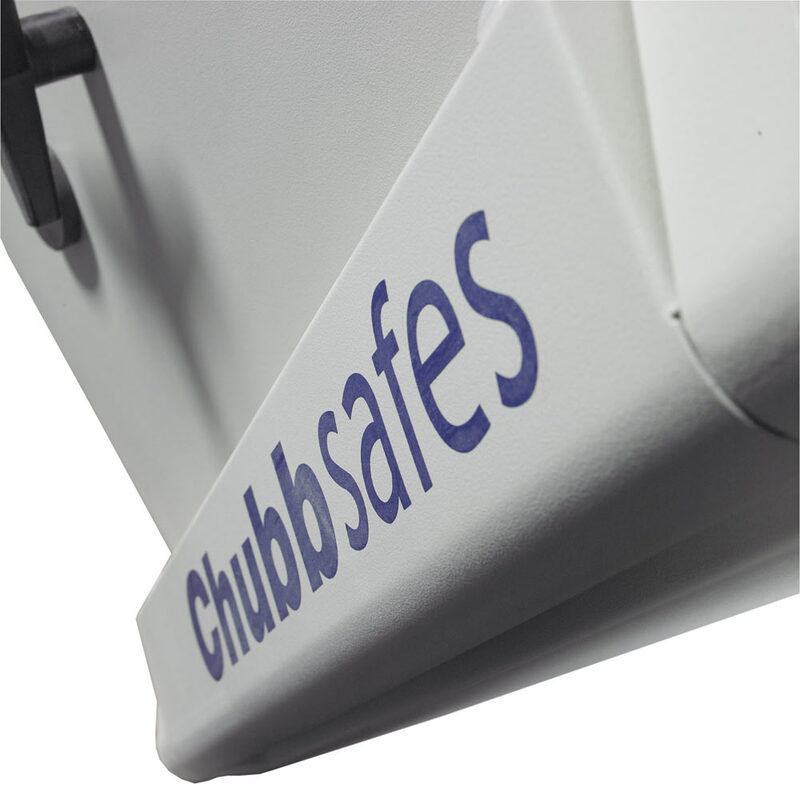 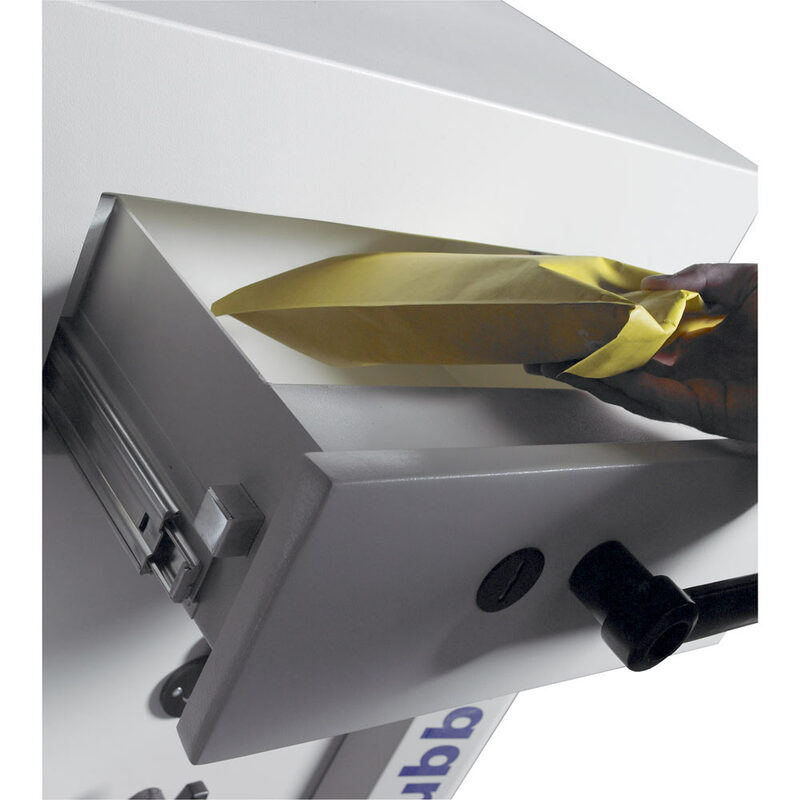 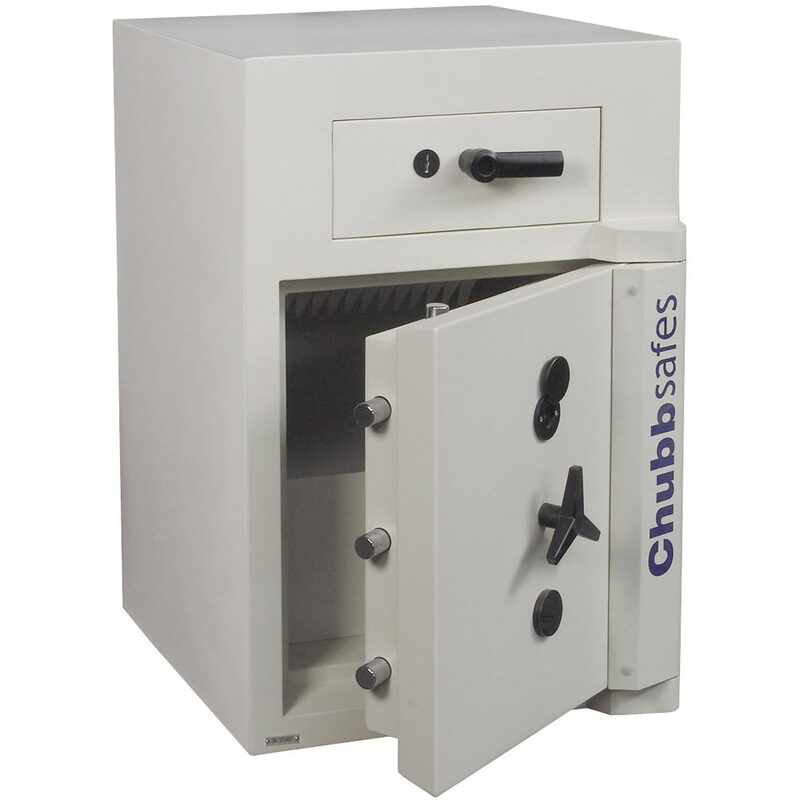 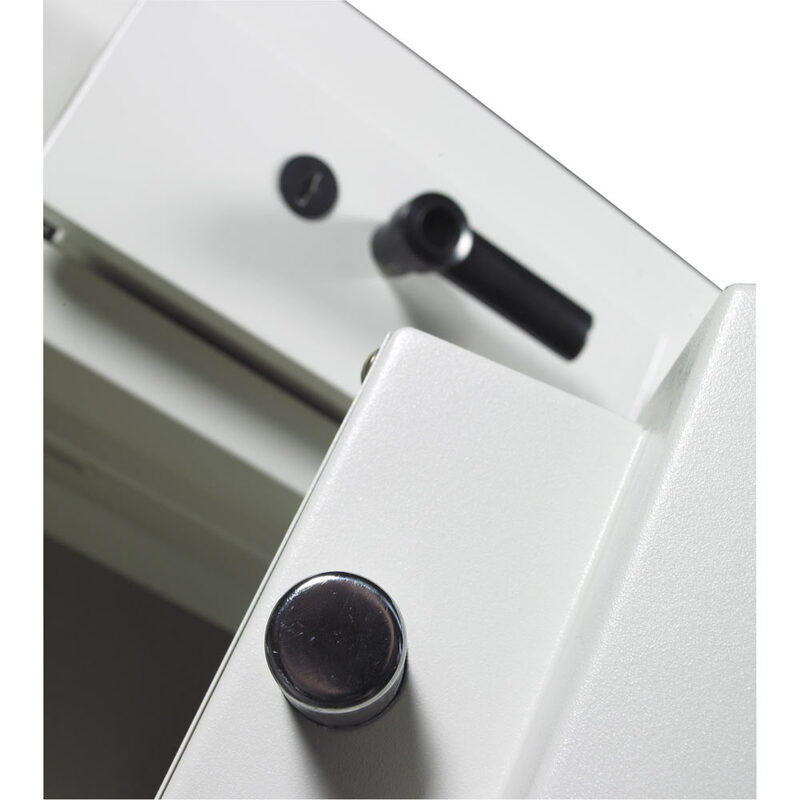 The main lock on the safe can be customised with various locking options (sold separately) and all models are manufactured to ISO 9002 accredited quality controlled process. 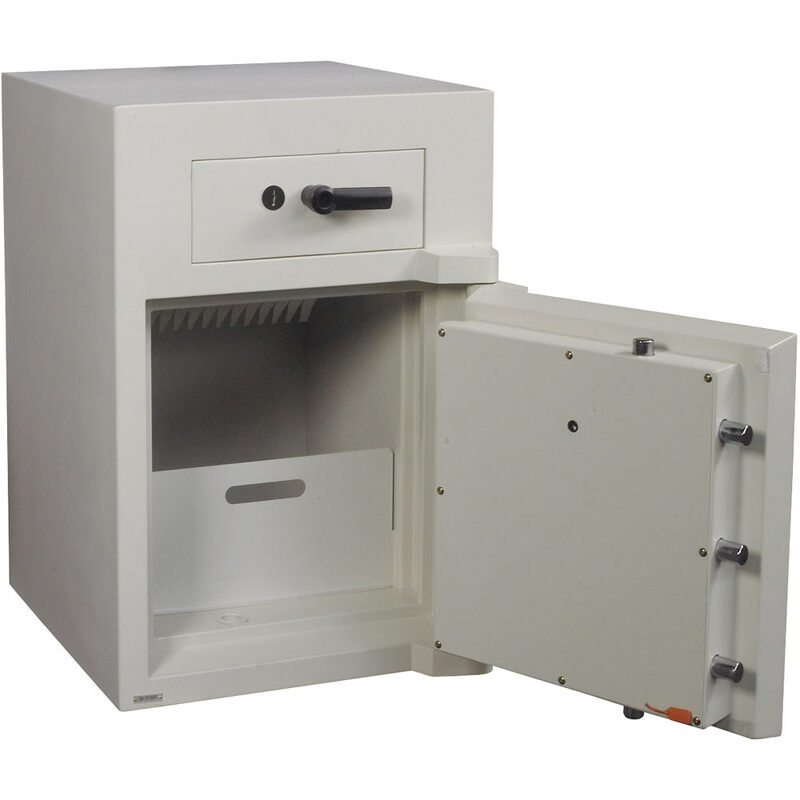 Maximum deposit size (WxDxH): 398x345x145mm.